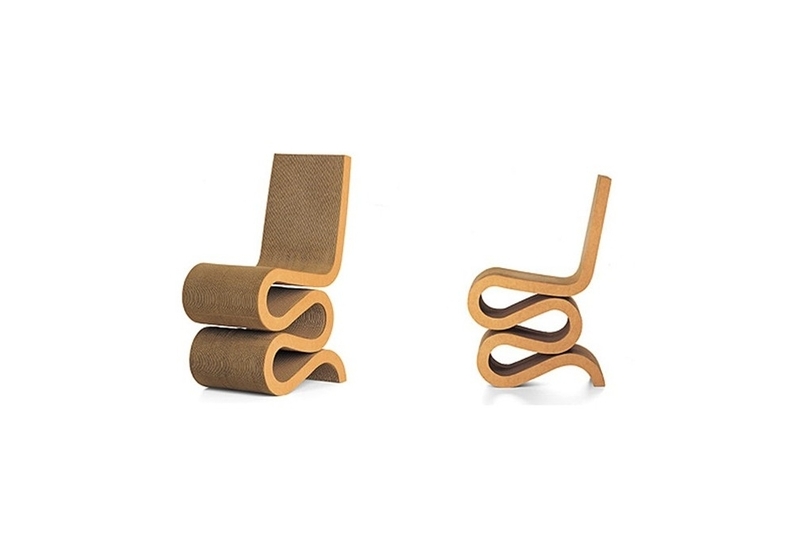 Vitra Wiggle side chair: Frank Gehry is well known for his use of unusual materials. 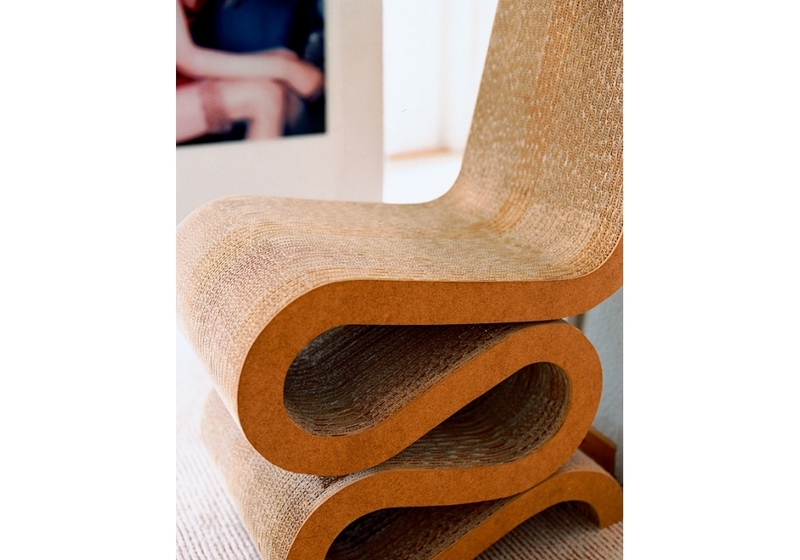 With his "Easy Edges" furniture he succeeded in giving a new aesthetic dimension to such an everyday material as cardboard. 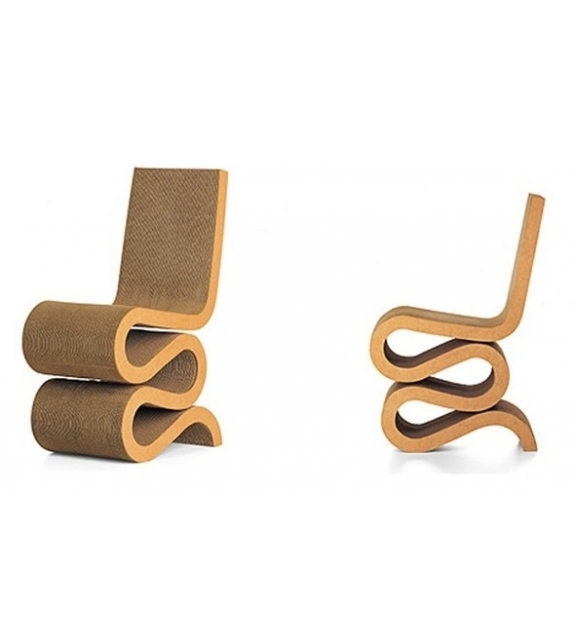 Vitra Wiggle side chair: Frank Gehry is well known for his use of unusual materials. 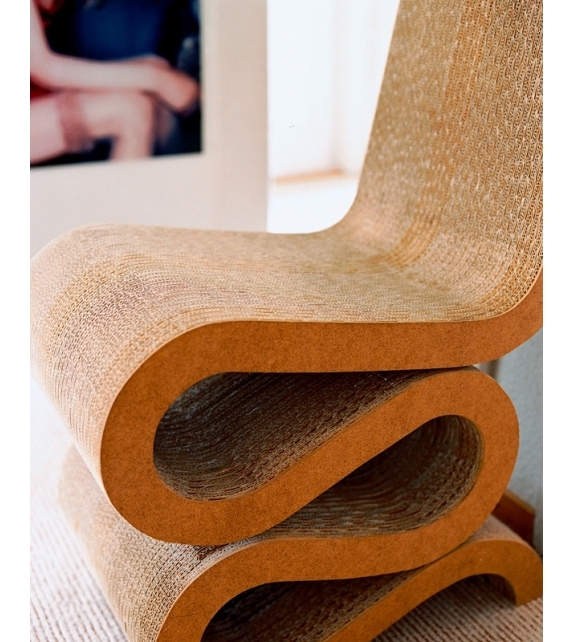 With his "Easy Edges" furniture he succeeded in giving a new aesthetic dimension to such an everyday material as cardboard. Despite their appearing bafflingly simple, the "Easy Edges” are nonetheless constructed with an architect's care and are extremely robust and sturdy. Having given them a makeover from the world of colour, Gehry has given the "Easy Edges" a new dimension - colourfulness.